← New edition out today! 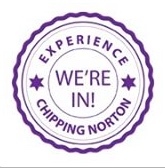 We have been asked to remind you all that nominations for this year’s Chipping Norton Sports Awards close on Friday – so if you want to nominate someone, get your skates (or football boots) on! For more information on the sports awards, see our earlier post here. This entry was posted in news and tagged awards, Chipping Norton, Chippy, Sports Awards. Bookmark the permalink. Please do not forget to nominate someone. we might lose the awards.